Expedition 50 commander Shane Kimbrough and ESA Astronaut Thomas Pesquet were at the controls of the Station’s Canadarm2 for the robotic capture at 10:37 UTC, marking the arrival of six metric tons of cargo at the Space Station. Berthing of the 16,500-Kilogram spacecraft is was completed at 13:57 UTC with hatch opening either in the evening hours or first thing in the morning on Wednesday, depending on the crew’s progress throughout the day. Operating the sixth mission since its debut in 2009, HTV takes a special role in the Station’s cargo architecture – not only because it currently is the largest in the visiting vehicle fleet, but mainly due to its capability of delivering large external cargo items to the Space Station via its Unpressurized Logistics Carrier and Exposed Pallet. SpaceX’s Dragon can also lift external payloads, although of smaller size and mass hosted inside the Trunk Section of the spacecraft. For HTV-6, the Exposed Pallet was reinforced to host up to 1,900 Kilograms of payload mass in order to facilitate the first of four planned battery missions to the ISS. Fastened to the Exposed Pallet on the way up are six new Lithium-Ion Battery Orbital Replacement Units which will replace a dozen of the Station’s Nickel-Hydrogen Batteries over the coming weeks in an extensive robotics and spacewalking effort. Nine of the spent batteries are planned to be disposed via the HTV at the end of its mission while three remain on ISS for the time being, available as spares. 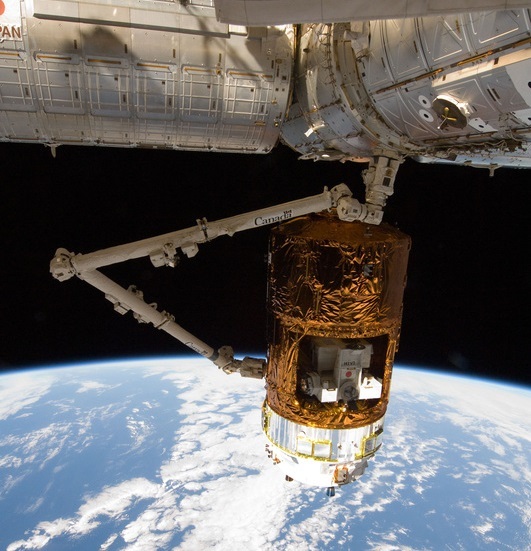 Robotics to extract the Exposed Pallet from HTV-6 are expected to begin New Year’s Eve before Canadarm2 and the Dextre robot get started with the removal of the existing Ni-H batteries on the S4 Starboard Truss Segment of the Space Station. A pair of EVAs on January 6 and 13, performed by Shane Kimbrough & Peggy Whitson and Kimbrough & Pesquet, will see the crew install the new batteries and their adapter plates. Up to four contingency spacewalks could be performed should the Station’s robots run into any problems requiring a human hand to help. 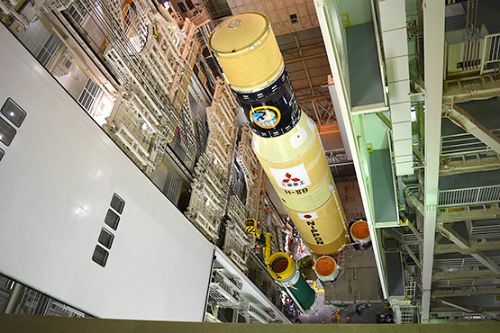 The Pressurized Logistics Carrier of the HTV-6 spacecraft is loaded with around 3,900kg of cargo, comprised of the typical mix of crew supplies, systems hardware and utilization payloads. 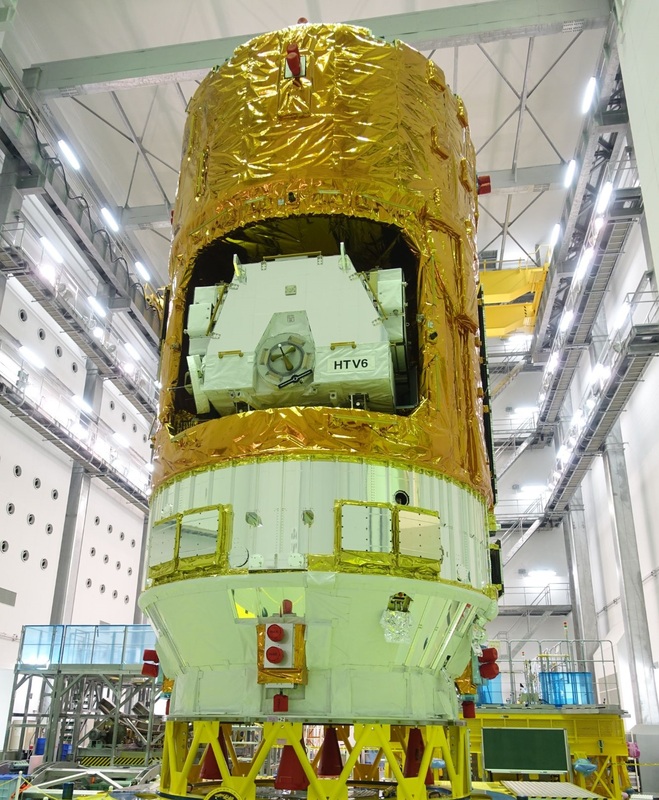 Among pressurized cargo delivered by HTV-6 are 1,264kg of crew supplies comprising food, consumables and 30 bags holding a total of 600 liters of water. 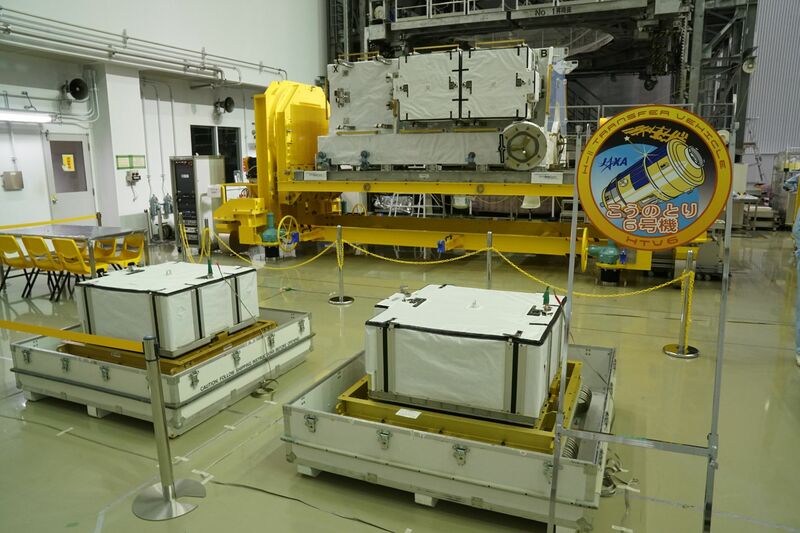 Part of 663kg of maintenance hardware is a replacement bed for the Station’s Carbon Dioxide Removal Assembly, an important component of the life support system on the U.S. Segment. 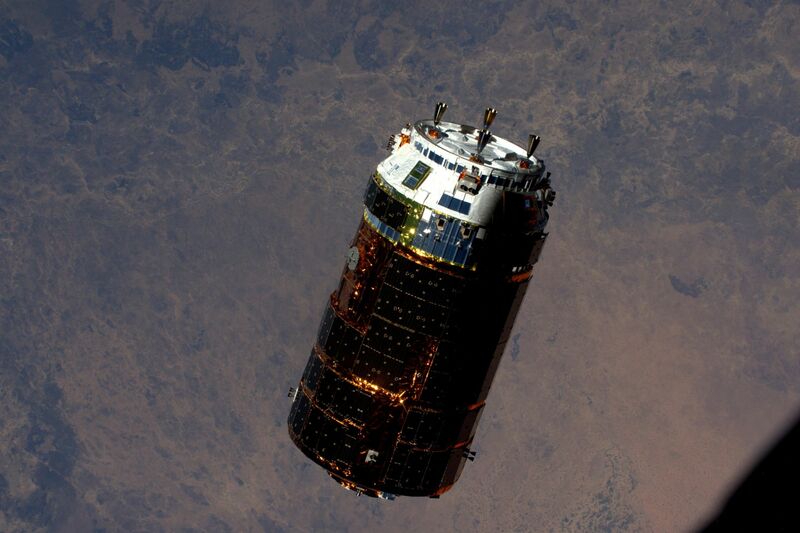 HTV-6 is also carrying 156kg of computer equipment, 35kg of EVA hardware and 28kg of cargo for the Russian crew. Utilization payloads riding on HTV-6 total 420 Kilograms and include a wide variety of items such as a new CubeSat Deployer with double the capacity of the first Japanese deployment mechanism, enabling the release of more CubeSat missions from the Station. 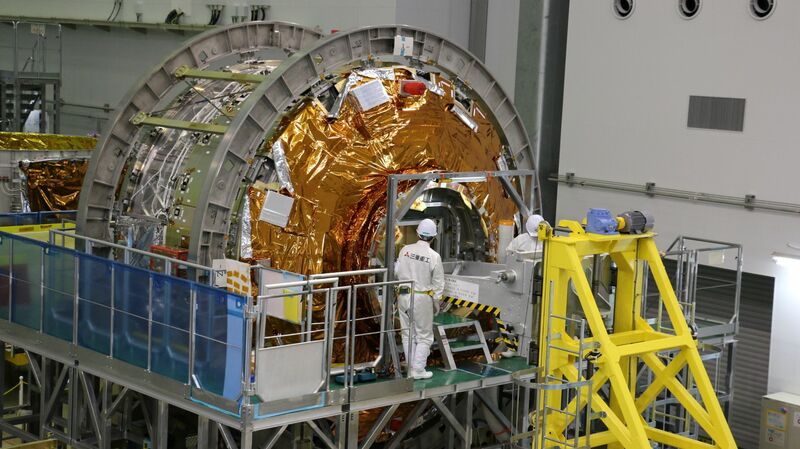 A new 4K and HD Camera System will take up residence on the Kibo Module’s exposed facility to assist in Earth Observation and Commercial Imaging from the Space Station, possible at a ground resolution of 15 meters. 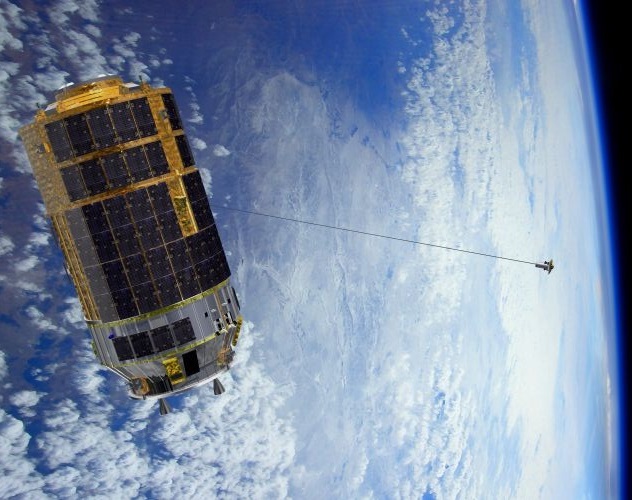 In addition to delivering new experiments to ISS, HTV-6 also serves as a testbed for a week-long tether experiment to be conducted after the craft’s six-week stay at ISS. A 700-meter long electrodynamic tether is planned to be deployed from the HTV to test whether thrust generated by a charged tether in the presence of Earth’s magnetic field could be a viable method for the removal of space debris from orbit. Tuesday morning’s rendezvous started when HTV-6 was still in an orbit ten Kilometers below that of the Space Station, closing in from behind and below after catching up an entire lap around the planet following Friday’s liftoff. Fed with relative GPS data through a communications link with ISS, HTV-6 was allowed to proceed to its Approach Initiation Point – five Kilometers directly behind the Space Station. With HTV-6 on approach, Mission Control Houston and HTV controllers in Tsukuba entered Integrated Operations with the overall authority in Houston and HTV monitoring & commanding performed from Tsukuba. The approach initiation burn performed around three hours prior to capture placed the HTV on a path to intercept a point around 500 meters directly below ISS. Acquiring the R-Bar or radial vector, HTV-6 executed a series of thruster firings to enter a path straight up toward ISS. The crew reported an impressive sight of HTV-6 firing its engines against the dark background of Earth to initiate the close proximity phase of the rendezvous. The designated robotics operator for Tuesday’s capture was Expedition 50 commander Shane Kimbrough while Thomas Pesquet backed him up and handled communications with the ground and veteran Astronaut Peggy Whitson was in charge of monitoring the HTV and coordinating activities with the Russian crew members. Watching over HTV’s approach, the crew verified they could send commands to the vehicle to make sure a crew-commanded abort would be available in case of problems. Upon acquisition of the R-Bar, HTV-6 made a 180-degree yaw maneuver and powered up its Proximity Navigation System – bouncing laser beams off of retroreflectors installed on ISS to calculate range, range rate and relative position of the spacecraft within its pyramidal approach corridor. As had been the case all morning, HTV-6 was well behaved, sticking to the planned flight path as it climbed up to a position 250 meters from ISS where it paused its approach. 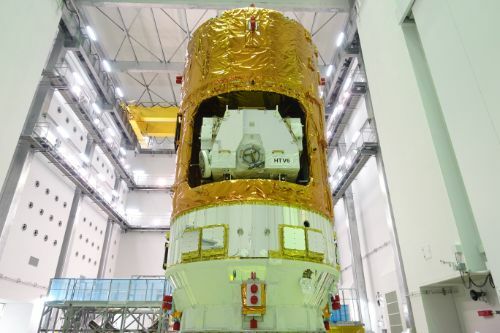 The 250-meter hold was dedicated to a verification of the Prox Navigation System, making sure HTV-6 was processing valid navigation data and was ready to enter the Station’s Keep Out Sphere where the highest safety standards have to be met. With no issues whatsoever, HTV advanced to its 30-meter hold which was used by the crew to release the brakes on the robotic arm and review the capture procedure. 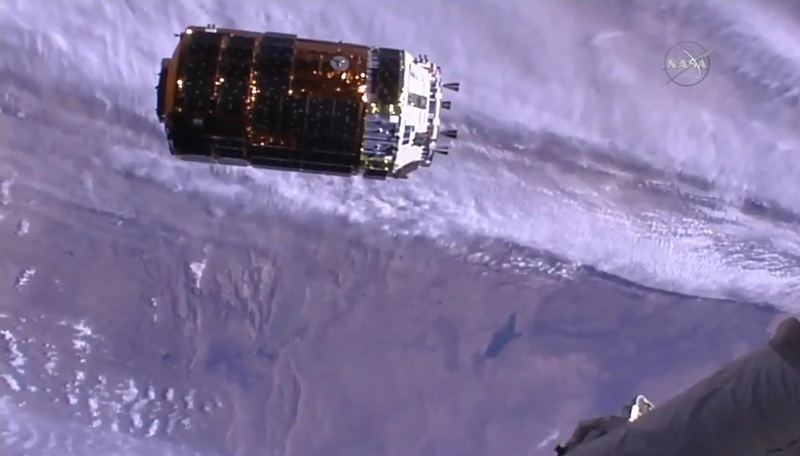 Continuing the approach, HTV-6 proceeded at a glacial pace to cover the final 20 meters to the Capture Point located just ten meters from the modules of ISS and within reach of Canadarm2. 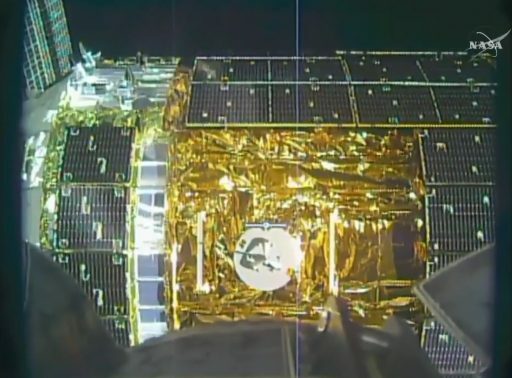 At the Capture Point, HTV-6 fully reduced relative rates to hold perfectly still before going to Free Drift, disabling all thrusters on the spacecraft to avoid inadvertent motion during the capture sequence. With a Go for capture given from the ground, Shane Kimbrough used the hand controllers of the Cupola Robotics Workstation to align the Latching End Effector of the robotic arm with the grappling pin on HTV before pulling the trigger and placing the end effector over the pin so that snares could be closed to obtain a firm capture. HTV-6 capture was confirmed at 10:37 UTC while ISS was flying 400 Kilometers above southern Chile and congratulations were exchanged between the crew and its support team on the ground. 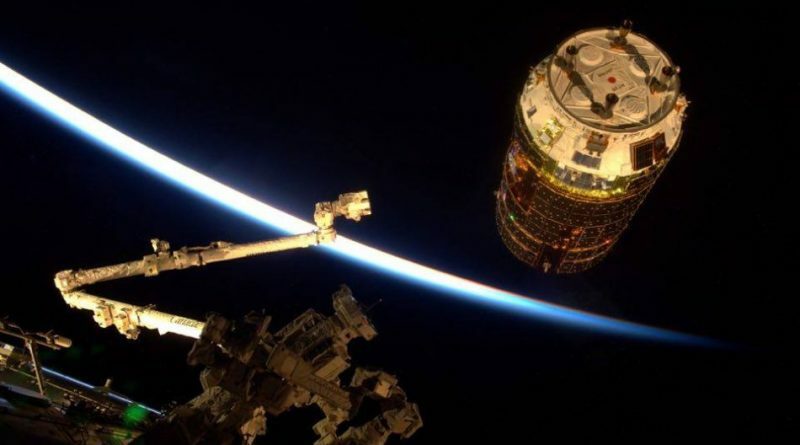 When Canadarm2 had a firm grip of the spacecraft, the crew in orbit handed robotic duties off to the ROBO team at Mission Control in charge of the berthing operation to the Earth-facing port on the Harmony module of the Station. This process took a little over three hours and entailed a series of maneuvers of the arm to first reach a pre-install position for a survey of the craft’s Common Berthing Mechanism before pushing in for a precise berthing guided by video from a Centerline Berthing Camera System. ROBO controllers were looking for four GREEN Ready to Latch indicators which took some fine-tuning of the spacecraft’s position before four capture latches were closed to allow the arm to transition into a limp-mode and gave the HTV some wiggle room during second stage capture. Four sets of four bolts were driven to firmly attach the spacecraft to Harmony with specific torque loaded on each of the bolts to tightly pull the redundant pressure seals in the hatchway together. 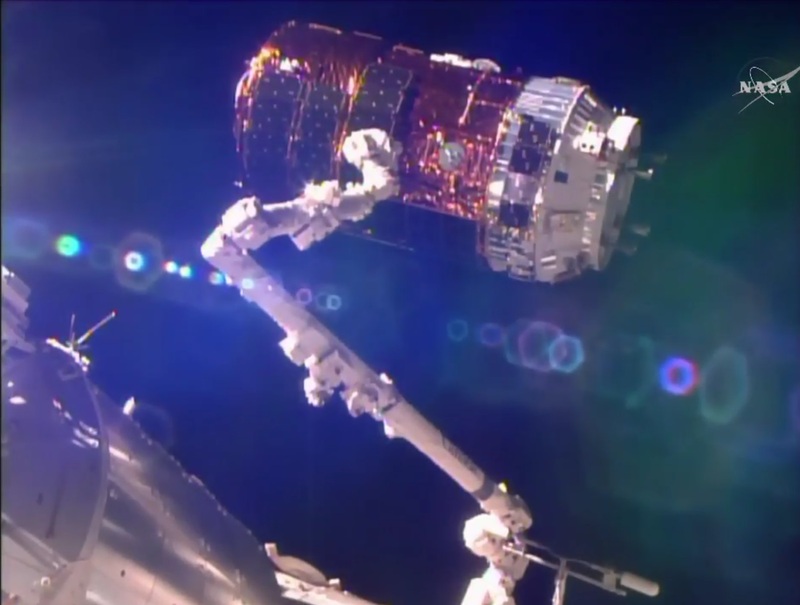 Second Stage Capture – the formal completion of berthing – was marked at 13:57 UTC.